Your mobile device has pulled out all the stops to make life easier for you. It has not only made hassle-free communication possible but also ensured easy internet surfing on the go. The experience would have been more rewarding if only the entire World Wide Web was optimized for your mobile device. Sadly, not every website is mobile compatible because cellular phones and other mobile devices are constrained by their displays. This calls for a distinct approach to how the content is laid out on the browser window. Different devices come with different screen sizes. Since the size of the device display cannot be adjusted, one should be able to adjust the website layout so that it doesn’t get distorted on different sized screens. A website developed with a responsive design never allows that to happen. 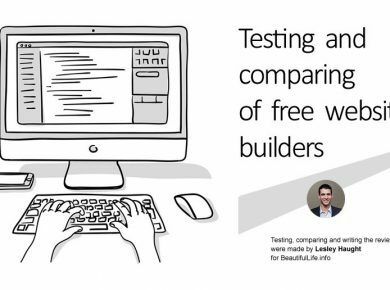 Also don’t forget to check free website builders list we’ve created for you. April 21, 2015 is destined to be an important milestone in the journey of Google’s algorithm updates. The search engine powerhouse has announced that mobile friendliness will now be considered as a vital ranking factor for websites. Google spokespeople have already indicated some of the factors that help a website get tagged as a mobile friendly website. Not having to tap or zoom to read content, tap targets that are aptly spaced out, and weeding out unplayable content, for instance, are important factors. This is among the first concrete steps that intend to entrench mobile friendliness as a necessity rather than an option for webmasters and website managers. Believe it – about 40%out of Fortune 500 websites stand to bear the brunt of the changing orientation of Google’s search algorithm. 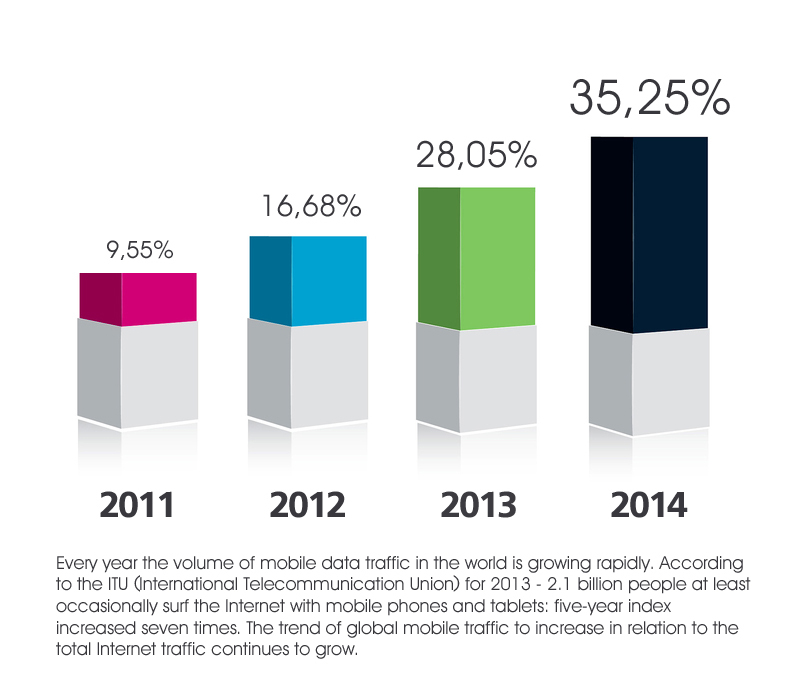 The best time to become more mobile friendly was yesterday, and the second best moment to do so is right NOW! Traditionally, a business having a mobile as well as a desktop version will have separate URLs for each. Not just that, even the HTML codes applied will differ. This compels Google to crawl and index different versions of the site- a process that is not only a little cumbersome but also lengthy enough to drive users away. On the contrary, a responsive website uses only one URL. Even the HTML codes used are the same across all devices. A responsive web design works by restructuring a webpage’s elements so that they fit any display size. Flexible images, media queries, fluid grids etc. are used to transform the website’s static alignment into a versatile responsive design. Back-end coding allows the layout to readjust itself when opened on non-PC devices like iPod, tablet, smart phone, smart TV etc. This simply means, a responsive design offers you the best display irrespective of your device’s screen size. This, undoubtedly, aids business growth, but it also guarantees user satisfaction. Since no redirection is required on websites with a responsive design, WebPages can be loaded faster. Users love this experience and keep coming back to these sites. Although there are a number of responsive website developers online, there are some that offer their services for free. And website builders that we’ve listed in Top 10 Best eCommerce Website Builders also offer responsive websites for their client. Take a look at the most popular seven responsive website builders. Are you thinking of getting a great professional website created? Are you also worried about having to shell out a fortune on it? Well, if such are your concerns then you should give Wix free responsive website builder a try. Wix provides its users with a huge collection of attractive and good quality responsive design templates. They can also choose to start from scratch if they think they are creative enough to be able to do so. Within a few minutes after the completion of the designing part, the website should be up and running. It has a free version that lets one create a full-fledged website with certain limitations. There are a number of priced options too like basic, small business, entrepreneurs, personal etc. but the premium plans offer facilities like free webhosting, set up, support, customization etc. The services start at $4 a month. 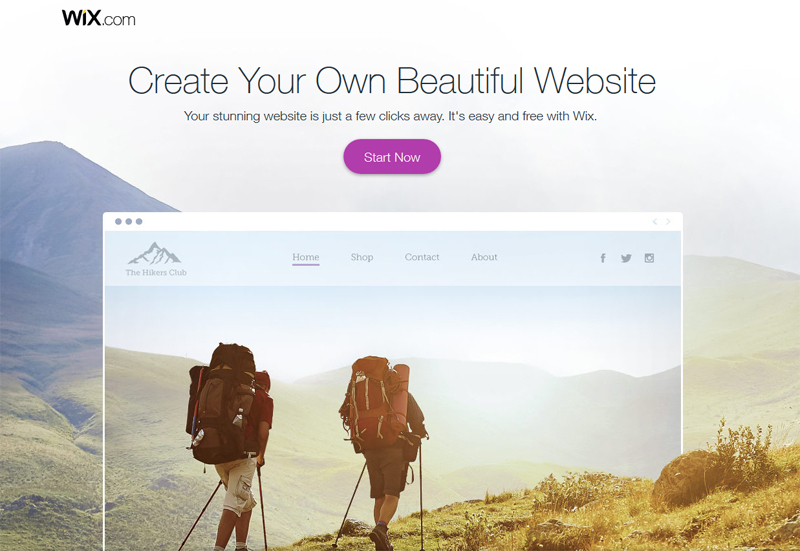 The website templates given by Wix are editable and can be edited anytime. Another important aspect is that tools like Google analytics can be added without affecting the overall functioning of the website created. If you own a business website, it’s very important to optimize it for targeted keywords. Even the most advanced website designs might fail to boost your site’s traffic if it’s not optimized. 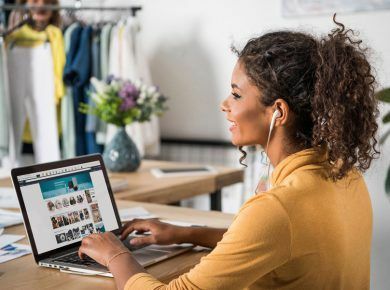 In order to give exposure to your site, Wix lets you incorporate meta tags and keywords. The website builder allows you to develop flexible mobile-ready sites that are much less a hassle for every busy individual. The good part is, these websites can be created by even people having no experience in this field. Updating the site is also a cakewalk even if you are a beginner. You can also add media files and other content easily. The customer center is reliable and the support page is dedicated to educating users about things that they are not likely to know. Millions of people have so far converted their rigid desktop websites into mobile friendly sites using Duda. It does what it promises to do in a unique way with least possible user intervention. All a user needs to do is enter their web address or link to their fan page on Facebook and watch this amazing free responsive website builder create mobile ready web pages in front of their eyes. Besides providing with this converting software, Duda enables its users to produce optimized websites that fit snugly into any display size. This responsive builder is fast and extremely user-friendly. It automatically synchronizes with one’s Facebook or Yelp profile and the website they currently own to create a responsive version of their website without affecting its content. The WYSIWYG editing mode helps customize the newly created responsive website by enabling users to simply drag and drop objects on the template. They are not required to have programming knowledge. This way, different user experiences can be created for different mobile devices like smartphones, tablets etc. If you do not want everything done by the website developer you can switch to its developer mode and have access to the HTML/ CSS codes of the site. Duda has a huge collection of templates for its users. All they need to do is choose the one they like most and the entire content from their previous site gets transferred to the new site. Each of the selected designs offer separate mobile, tablet and desktop previews. Exclusive mobile features like click-to-call, custom mobile coupons etc. boost website traffic further. There is one free and three paid Duda versions available for the convenience of its users. The free one comes tagged with the brand name and can only be used on the sub domain offered by Duda. The paid plans range somewhere between $7.50 and $29 per month and offer varied features. Jimdo is considered one of those free responsive website builders which have unfailingly satisfied users for years. For any business seeking to step into the virtual world competition with some added influence, a responsive website built by Jimdo’s free website developing service should come handy. There are scores of premium quality design templates offered by Jimdo to its free service subscribers. In addition to that, Jimdo provides its users with a storage capacity of 500 MB which makes it possible for them to create sophisticated websites without having to pay for them. What sets it apart from most others in the lot is the fact that even its free plan includes top-notch e-commerce facilities. And if you are someone who looks to bring audiences closer using the internet as a medium then Jimdo services like Pro and Business can help immensely. But if you want your website equipped with a lot of other advanced features too, then go for the premium services. 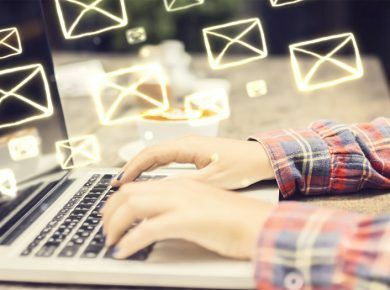 You will not only be able to avail resources like bandwidth and email accounts but also have access to a prompt and welcoming customer support service. The e-store with the availability of only five items is a bit restricted but you can’t expect to have a better deal with a free store builder. Jimdo is not an entirely drag and drop facilitated website builder but it covers up well with scores of other terrific features one wouldn’t, usually, expect in a website created free of cost. One thing that users like most about Jimdo is that the website that eventually gets built looks exactly like the design created on the screen. Creating web pages seem like a breeze with Jimdo. No technical or programming knowledge on the part of the user is required. Probably you have a lot of information to put on the internet but do not know how to go about doing it. Perhaps you do not even know how to write codes for a webpage or maybe you need a trustworthy website builder to create a responsive website. Whatever it is, services provided by Weebly could be an invaluable input in this regard. 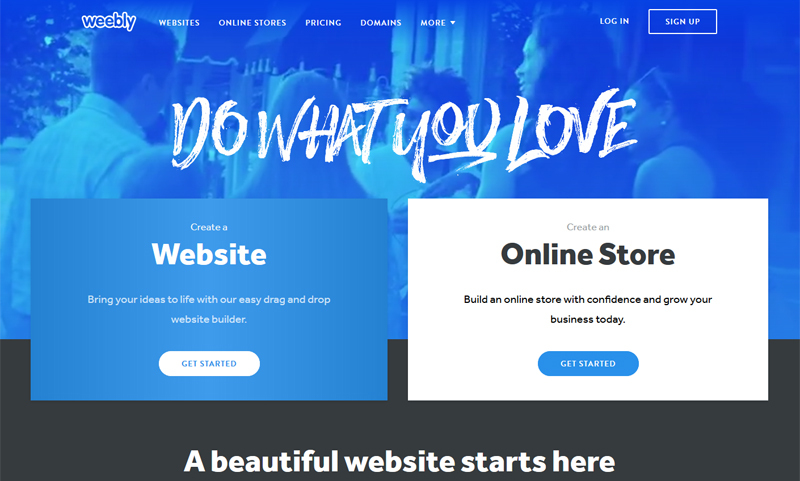 This free online responsive website builder is more popular among beginner level webmasters because it’s extremely user-friendly. The format used is widget-styled and allows for drag and drop editing, as a result users find it as easy as A-B-C to create the pages. Weebly considers the WYSIWYG interface as its flagship feature that allows users to create web pages by simply dragging and dropping content. Apart from this, what make Weebly a popular choice for developing responsive websites are a blog editor, a large collection of themes that can be implemented and customized with ease, creating free account websites etc. There are free as well s paid accounts for users. Although free accounts offer a large number of features, the functionalities offered on paid accounts are much more sophisticated and large in number. They are well equipped. Also, adding an in-site audio or video becomes easy with a Pro account. You also get premium quality support and reliable statistics. 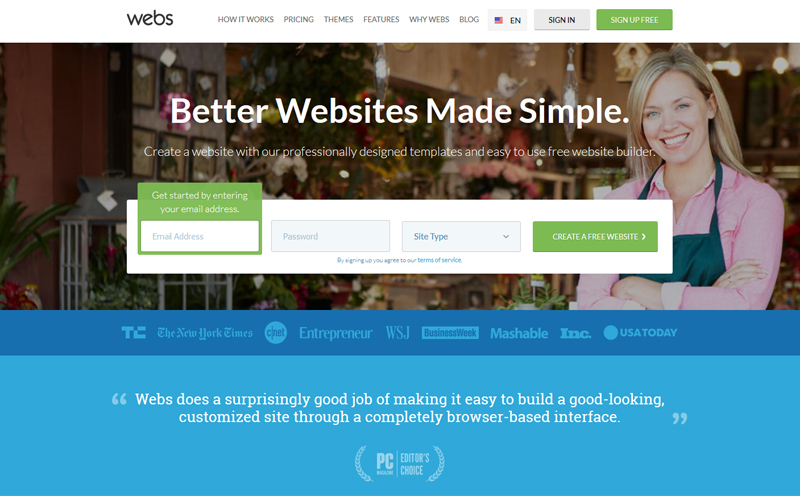 The best part, however, is that Weebly doesn’t use your website as a platform for advertising. Not even a single ad flashes on your website without your permission, even if it is a free account. Customization of the responsive websites becomes highly flexible with Moonfruit. Its users can not only modify but also tweak all the design elements provided by the software so that detailing of the finest level can be achieved. Moonfruit also stands out when it comes to providing SEO facilities to users. They are highly diverse and useful and help newly launched website projects in a great way. It’s usually free for the users but there are certain paid premium versions as well. The premium versions are quite an interesting deal as they pack in all exclusive features. Moonfruit regularly offers sale on its paid plans. If you are lucky you may be able to avail its paid services on much lower rates. This is, in fact, one of the most liked aspects of Moonfruit. A small icon on the toolbar that opens an emulation of phone on the screen allows the users to build responsive websites. This service is meant for rearranging website’s elements so that the site may be made to fit snugly into different display sizes. Moonfruit also grants its users a great deal of freedom while placing the in-built visual objects on the webpage at any desired position. Surprisingly, it doesn’t make mobile translation difficult by any means. The editing offered by Moonfruit is much less cumbersome than those offered by its counterparts. The editing options are pretty elaborate and let one change the text as well as background colours. The font styles and sizes are customizable. The top-level title can’t, however, be changed from the URL text. Although, Moonfruit fulfills many of the requirements of a person seeking to get a responsive website developed, it’s not an absolute solution. 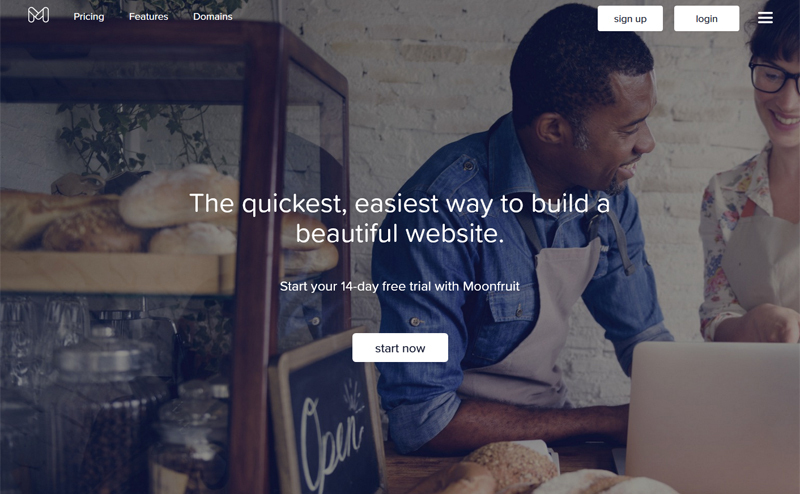 The bland ecommerce features offered by Moonfruit fail to attract businesses. Webs .com strives to touch upon every aspect that makes a website successful. It offers its users with the social sharing functionality and enables them to create mobile-friendly websites. Out of all the things that are impressive about Webs, the drag and drop stands out. They not only offer a hassle-free interface to work on, but also give the user access to content elements that are essential in making a website look alive. Starting from galleries, to calendars and maps, Webs allows one to create a versatile responsive website design incorporated with attractive features. With documents as well as HQ video hosting facilities, webs.com makes creating content-rich sites fun and easy. While most other website builders suffer from a setback in this regard, Webs.com guarantees the smoothest adaptation possible for a site, making it easy for the website to seamlessly update itself from device to device. At a time, when the entire world is going mobile crazy, this feature is rather a necessity. If you want to boost your website’s traffic, integrating it with the social media is a must. The social edge acts as much as a splash of X-factor as a necessity. Webs help you reap social media benefits to the fullest by allowing you to integrate your website with twitter and use Facebook options like comment, like and share to promote it on Facebook. 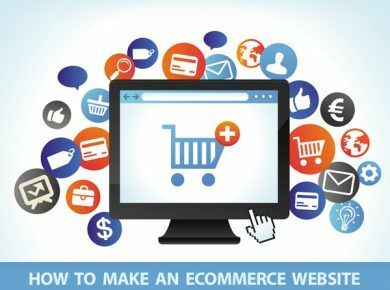 E-commerce is an absolute necessity these days; Webs.com’s ecommerce features are effective and powerful. Besides these, webs.com allows you to create galleries with the slideshow functionality. Also, your website serves no useful purpose if it fails to grab eyeballs. Gaining traffic is of utmost importance when it comes to business websites. The SEO Booster tool makes your site feature higher on the search engine results page. 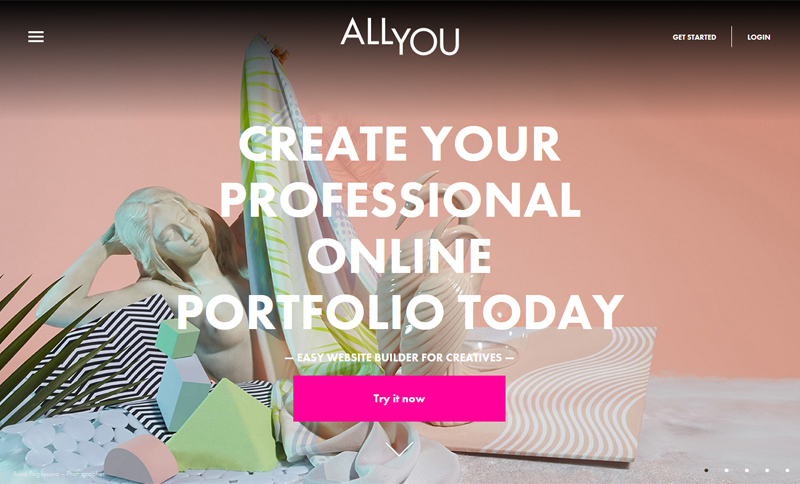 Allyou is basically an online portfolio tool, serving the needs of photographers, stylists, graphic designers and other artists. 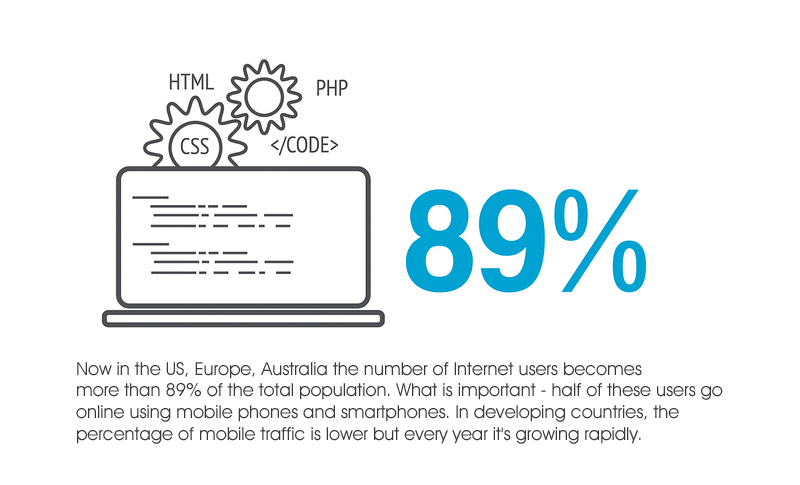 But it’s equally popular as a responsive website developer. The front-end editor enables the user to create a website by simply dragging and dropping the visual objects on the canvas. Allyou allows its users to create their responsive website faster than many of its counterparts. They not only save the money they would have otherwise spent hiring a programmer, but also save a lot of time. And since it is so user-friendly, the results obtained are stunning. To get started, the user would first need to choose a template from an array of them made available by Allyou. To create a design that’s pleasing to the eyes, one can make use of the multitude of customization options Allyou has for its users. They can switch to a different theme if they like; Allyou has a huge collection of attractive themes as well. Allyou has three pricing options. Users can register for the free trial option, also known as ‘aluminum,’ whenever they want. Since the plan is upgradable, they can choose to opt for the other two options anytime they deem fit. The next in the lot is ‘carbon,’ a price plan that provides users with a free 30 day trial and 1.5 GB of Disk Space in addition to a custom mobile view. They are required to pay a mere $8 for this service. The third one, i.e. 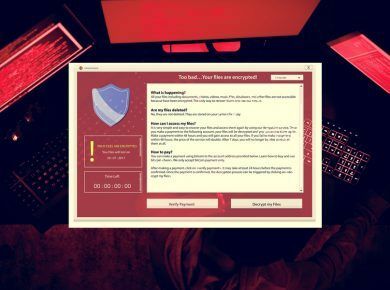 the ‘titanium’ needs one to pay $15 for a 10 GB disk space, custom domain and CSS customization facilities in addition to the features available against the other two plans. They should go for the yearly plan, if they want to avail the services at discounted rates. Allyou also provides discount to students pursuing their studies in its partner schools. These students are allowed to create carbon accounts absolutely free of cost. Very important tips you have discussed here. As we know Mobile phones now have a separate Google search algorithm so it is necessary to built responsive site. Thanks for updating. Thanks for the post. I still don’t understand why Responsive is so important. No – I understand that users can visit my website via mobile phones and tablets but they do it even now when my website isn’t responsive. So what’s the difference? Please correct me if I didn’t understand correctly. The difference in capabilities. 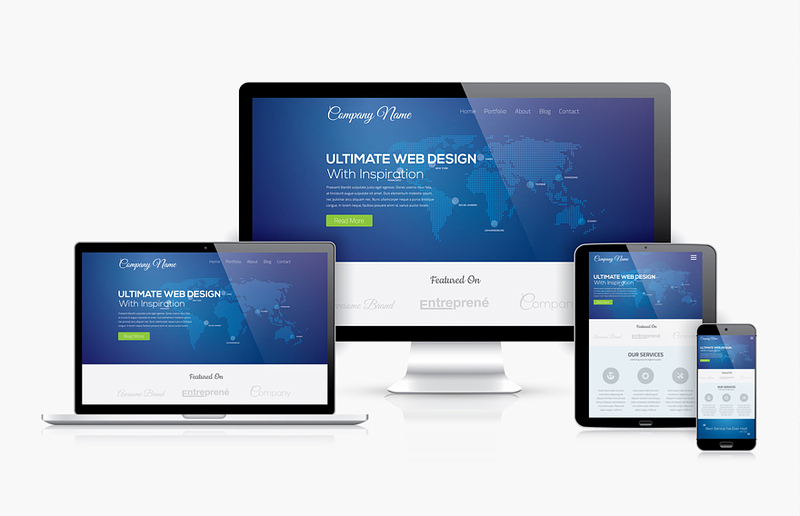 Real responsive website is not just a smaller copy of your ordinary website as many think. Responsive means that on mobile phones your website will look the same convenient and natural as on PC but in different way. For example, it loses buttons menu, header became narrow and all content will line up in a column. Thanks to all this it’s much easier to read a content on mobile phone. And your not responsive website also can be opened on a mobile phone but it will be just a part of your main website with scrolling. Visitors from mobile phones cannot find something on your website and will quickly close it. So, Google Analytics will see visits from mobile phones but bounce rate will be extremely high and time of visits – became smaller. All this will have negative effects on SEO of your website. Many webmasters understood it a long time ago and make their website full responsive. The easiest way to get responsive website is to use ready responsive themes or responsive website builders, the best of which we’ve collected in this list.